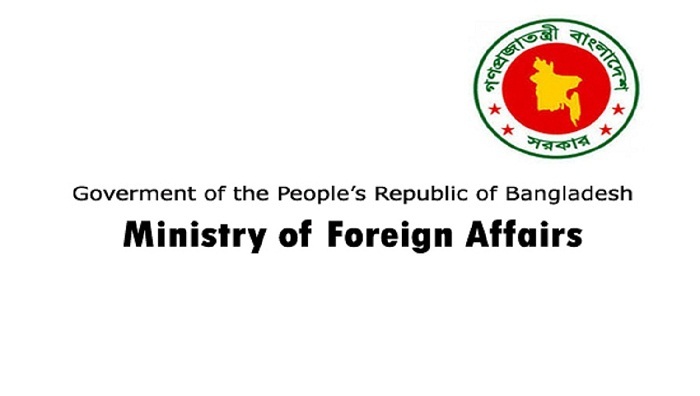 Dhaka strongly protested the remarks by the spokesperson of Myanmar President’s Office claiming the existence of two Arakan Army bases and three ARSA bases in Bangladesh, according to a press statement of the Ministry of Foreign Affairs (MoFA). This MoFA statement was issued on Wednesday with regard to some media reports based on remarks by the Spokesperson of Myanmar President’s Office on 7 January. “Bangladesh strongly protests such baseless and provocative accusations. The current clashes are the outcome of Myanmar own political and social dilemma,” the ministry says. “The allegations are totally fake and baseless. It’s not possible to operate terrorist bases anywhere in Bangladesh because of high alertness and effective preventive measures by security forces in the line with “zero tolerance policy” of the present government of Bangladesh under the Prime Minister Sheikh Hasina,” reads the statement. “Bangladesh is also firmly committed not to allowing its soil to be used by any dissident group of any neighbouring country. The government has taken all possible measures, including compressive international engagements in counter-terrorism to fully implement the commitment,” the MoFA statement notes. “We affirm that there’s no existence of any foreign terrorist groups within Bangladesh nor Bangladesh is harbouring any terrorist organisation within its soil. Security forces of Bangladesh alongside border always remain vigilant to prevent any untoward incidents that may affect the existing peaceful relation between neighbors,” it says. The statement says Bangladesh, on several instances, proposed Myanmar to conduct joint operation in addressing claimed terrorist activities along the border area. But unfortunately, not much enthusiasm received from Myanmar side. Even Myanmar failed to provide Bangladesh with specific details and concrete evidence on the alleged terrorist elements and acts, the statement adds. Bangladesh is acclaimed by the international community for its unflinching commitment and bold actions in the combat of terrorism at national, regional and global level. Bangladesh always stands ready to engage in comprehensive cooperation mechanism with any country, including Myanmar, in the combat of terrorism, according to the statement.